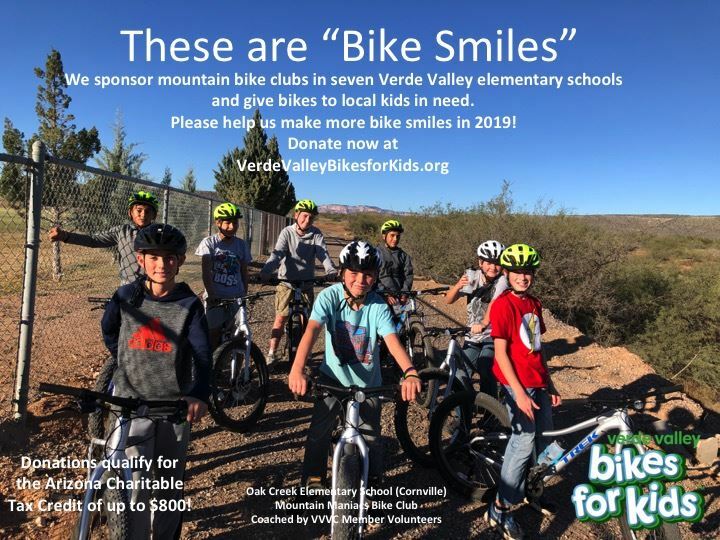 is focused on getting kids in the Verde Valley outside and active by providing them with bicycles, helmets, and active lifestyle encouragement. where over 65% of the students receive free or reduced lunches under the National School Lunch Program. The Program purchases and maintains bikes, helmets and gear for the schools’ clubs. VVCC members and school teacher coaches teach riding skills, basic bicycle maintenance and ride with students twice weekly. Each spring, we award new bikes to students who have earned them by exceeding expectations for grades, behavior, attendance, and citizenship. These awarded bikes also come with free maintenance for as long as the student owns the bike. The Program provides an annual grant to the local NICA team, helping defray coaches’ out-of-pocket expenses and encouraging team member volunteering at trail workdays. The Program distributes free bike helmets to kids annually at the Sedona Celebration of Spring. If you wish to volunteer to be a Verde Valley Bikes for Kids™ Mentor, please contact Rich Leever at road_committee@vvcc.us. 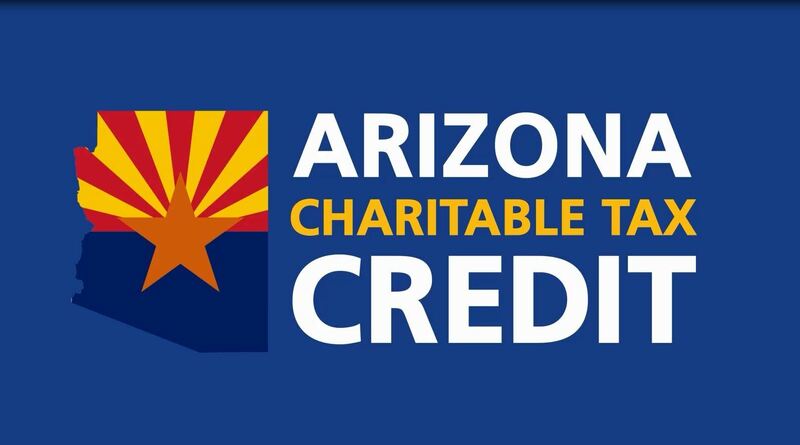 The Verde Valley Cyclists Coalition (VVCC) and Chain Reaction are thrilled to announce that donations to Verde Valley Bikes-for-Kids™ now qualify for the Arizona state income tax credit worth up to $400/$800 depending on filing status. Tax credits reduce the amount of tax owed to the state or increase the amount of the taxpayer’s refund, dollar-for-dollar. There is NO NET COST to the donor. Please ensure to select Bikes for Kids in the Fund Type below when you make your donation. 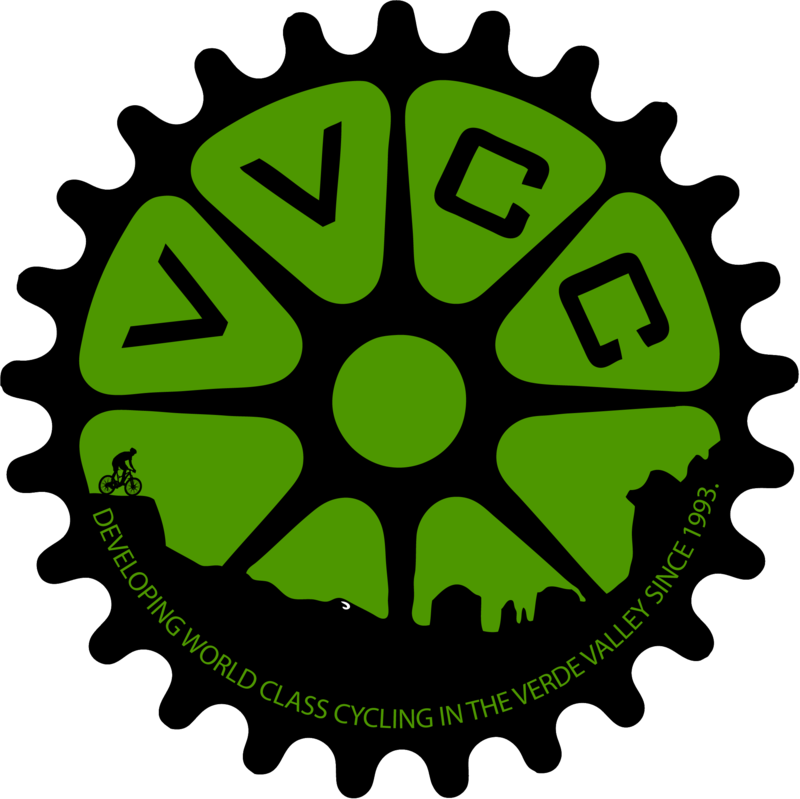 Verde Valley Bikes for Kids™ is a joint venture between the Verde Valley Cyclists Coalition and Chain Reaction. 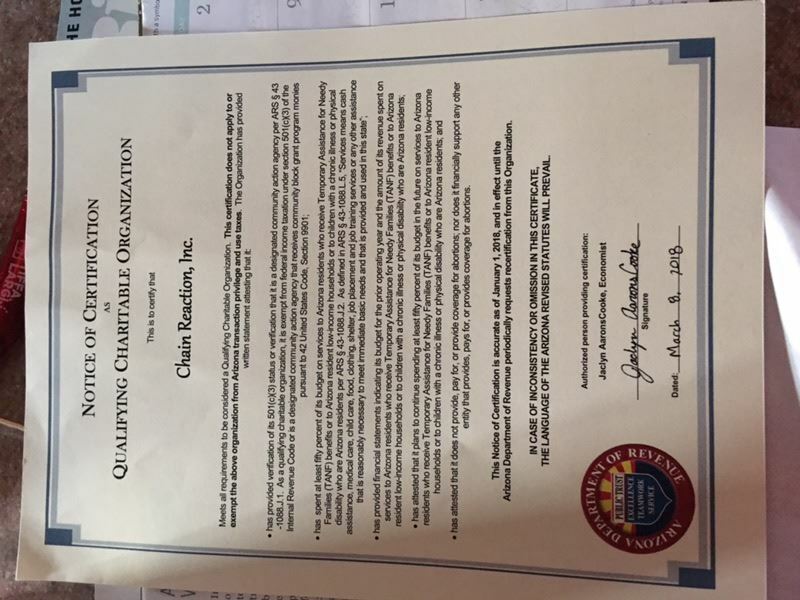 Both the VVCC and Chain Reaction are IRS designated 501(c)3 non-profit organizations and Chain Reaction was certified as an Arizona Qualified Charitable Organization on March 8, 2018. The VVCC is accepting donations to Verde Valley Bikes-for-Kids™ as an umbrella organization for Chain Reaction.